Russia’s Sukhoi Civil Aircraft Company (SCAC) and Slovenia’s Adria Airways have failed to rubber-stamp a firm contract for the supply of 15 Superjet 100s in a project that also proposed the establishment of a joint SSJ100 MRO business, as announced last November. Both companies have cited different reasons for the failed undertaking. Four days before that declaration, Russian media questioned SCAC president Alexander Rubtsov about the status of the proposed deal and he revealed that the project with Adria Airways “is not an easy one, due to the situation in the airline.” According to Rubtsov, the airline’s 2018 financial report that had only recently became available, and the business-plan for the SSJ100 lease deal were both being studied by various banks. The final decision on the project therefore rested on their decision, he added. Adria Airways had signed a letter of intent with Sukhoi Civil for the long-term lease provision of 15 Superjet 100 aircraft on 26 November 2018. In addition, the parties inked a memorandum of understanding to establish a joint SSJ100 maintenance, repair and overhaul (MRO) business for the type, to be located in the central European republic. In recent months Adria Airways has been preparing intensively for the arrival of the aircraft and, whilst the aircraft type itself still seems very attractive, Adria Airways has not been able to finalise the contractual clauses with the Russian side. “We are naturally disappointed that the collaboration with Sukhoi did not reach a successful conclusion, but the partnership was only viable if given objectives set by the strategic business plan were attainable. Unfortunately in this case we did not think this is possible,” insists Holger Kowarsch, managing Ddirector of Adria Airways. 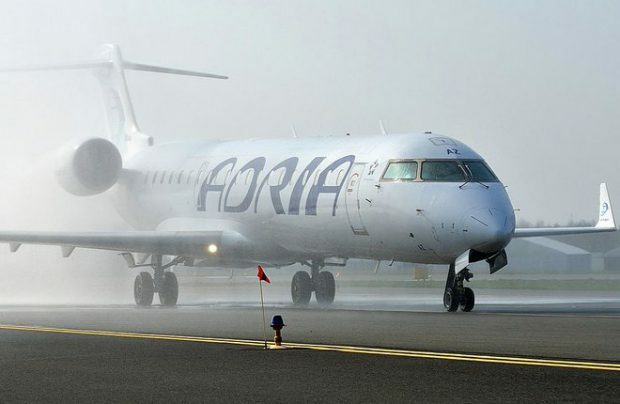 In the meantime Adria, which is by far Slovenia’s biggest airline, says it is to continue to focus on the existing four businesses: scheduled operations, charter and cargo flights, and also operating as an ACMI outsourced service provider for other airlines. The structure of its fleet will remain unchanged. 100 per cent-owned by Germany-based private equity firm 4K Invest, Adria Airways currently operates a fleet of 15 jets: three Airbus A319s, three Bombardier CRJ700s and nine CRJ900s, as well as three Saab 200 turboprops. The shareholders of Adria Airways will continue to support the further growth and development of the business, the company says. Given that Adria doesn’t now need to finance the transition to a new aircraft type, and based on its positive business plan, no additional capital increase is planned, the airline reveals.